A quick update to the earlier story about the “Dumb Starbucks” store that opened up in L.A. over the weekend with operators claiming they don’t need permission to use the coffee chain’s name because the addition of “dumb” makes it a parody and therefore covered by the doctrine of fair use. Starbucks disagrees. In a statement to the L.A. Times, a rep for Starbucks gives a vague explanation of the company’s current stance on the store that came out of nowhere. “We are evaluating next steps and while we appreciate the humor, they cannot use our name, which is a protected trademark,” says the rep. 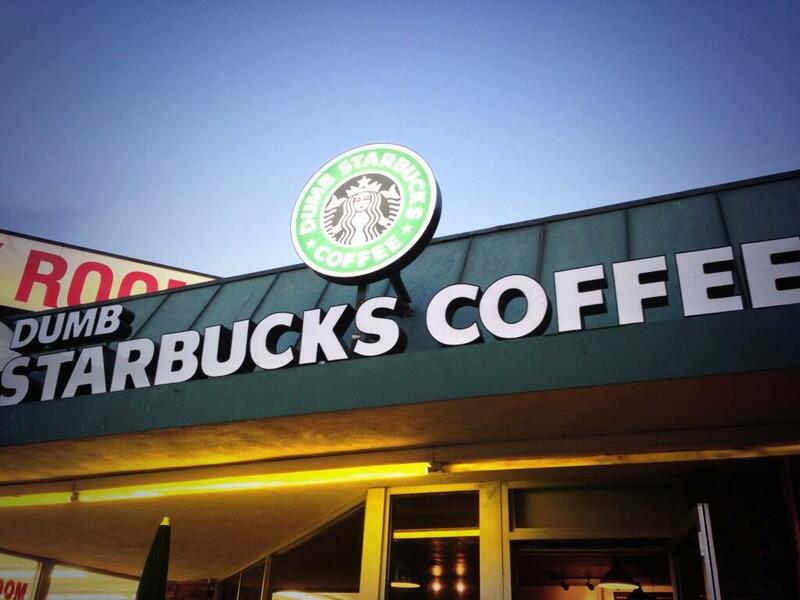 Some believe that the operators of the Dumb Starbucks are confusing copyright and trademark. Fair use generally covers the parodic use of copyrighted content — that’s why people can do parody covers of songs or why TV sketch shows can do spoofs of other shows and movies without worrying about getting sued or having to pay the original’s authors. Trademark parody isn’t as cut and dry, especially when the creators of an alleged parody make no attempt to hide the fact that they are merely using the parody defense to take advantage of a trademarked brand name, which the Dumb Starbucks folks did in an FAQ handed out at the store. There are those who believe the operators of Dumb Starbucks have no interest in operating a coffee shop or of making a point about parody and copyright or trademarks, but will be revealed to be a publicity stunt for someone (or group of persons) looking to do anything to stand out.